I was a member of SC before I left the game about a year ago. I'm planning on returning and hopefully, when I submit my application it will be accepted. One thing I am wondering about now is how much I've missed. 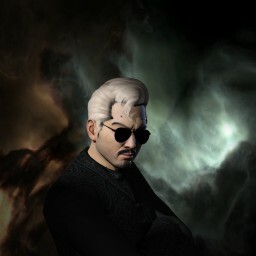 I am now beginning to consider creating a new character on a new account and Terminating my current character (Teptae). 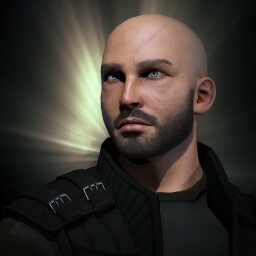 While doing a self-post-mortem as to why I quit, one of the things I realized is that I really wasn't happy with my current character. What weren't you happy about? Time is a valuable commodity in New Eden (although less so now with skill injectors). You might want to think about grabbing skill points from your current character before biomassing. A clean start isn't a bad thing, but it would be helpful to know what you want to do differently this time around before you dive back in. Hope to see you in space soon! The character was created with more focus on looks than anything. After playing for awhile, I found I really didn't like the racial choice I had made and had a lot of trouble trying to fit that with my concept. A character resculpt will allow you to change a lot, but not race, bloodline, or gender. So, if you want to alter any of those, I think a new character is the only option. Of course, each account comes with three character slots. So you could just start anew without biomassing, just in case you ever want to go back. Either way, welcome back ! I remember you! In some ways the corp is quite different, in many ways it's very much the same. Getting caught up and reaquainted will be interesting in itself. As @Thrice-Hapus mentioned you do have the skill injector route, might be worth extracting/injecting yourself to re-spec into your racial preference. Thanks Merkato. Hi hope your memories were positive. I'm currently working on a couple of ideas that would allow me to keep the same character. It may be a couple of weeks before I feel ready to re-apply to the corp.
Re-welcome! Don't scrap the character is my 2c... as it was already mentionned, time is a commodity in EVE.